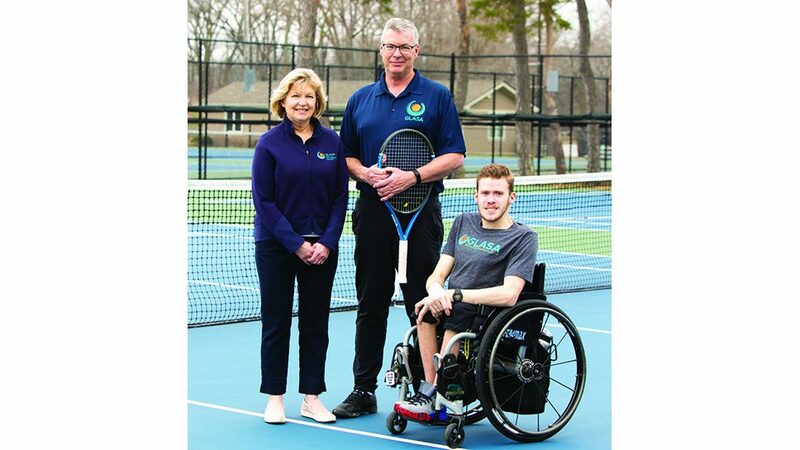 Growing up in Rockford in the 1980s, Kalousek fondly recalls camping in Door County’s Peninsula State Park with his Grandpa John, a World War II veteran. 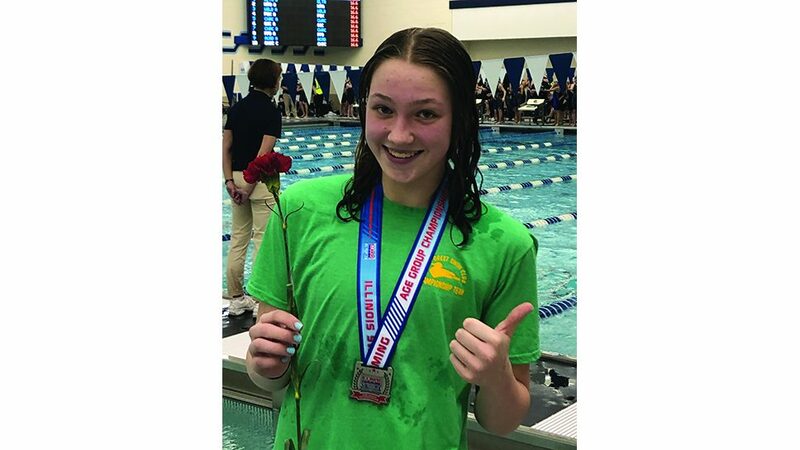 Kalousek likes to reminisce about long, summer days spent swimming at local beaches and windsurfing on Green Bay near Fish Creek Harbor. Too young to drive, the pre-teen Kalousek would sail his “dates” to Wilson’s Ice Cream Parlor in nearby Ephraim, hoping to woo them with his nautical prowess. “I’d be like ‘you got a car? Well, I’ve got a boat,” said Kalousek. With his laid-back, sea dog-style and youthful exuberance, some might say Kalousek – also known as “Thor” – is a Great Lakes’ version Florida’s Jimmy Buffett. Most comfortable wearing flip flops, board shorts and a T-shirt of his own design, he is the perfect embodiment of the North Shore’s chill, summer-time vibe: those precious three months each year when local residents peel off their down coats and relax with beach BBQs, boat rides and dips in Lake Michigan. Now married and settled in Lake Forest with his wife, Theresa, and their 3-year-old daughter, Lilly, the former advertising executive now makes a living delivering boats up and down the Great Lakes and Atlantic. Nonetheless, he’s hoping to channel those endless, Midwestern-summers of his youth into a full-fledged lifestyle brand. Kalousek’s two start-up companies, Tan Foot Lifestyle and John Hans Board Company (an homage to Kalousek’s Grandpa John) are slowly rolling out products that embody the Midwest’s unique beach culture. 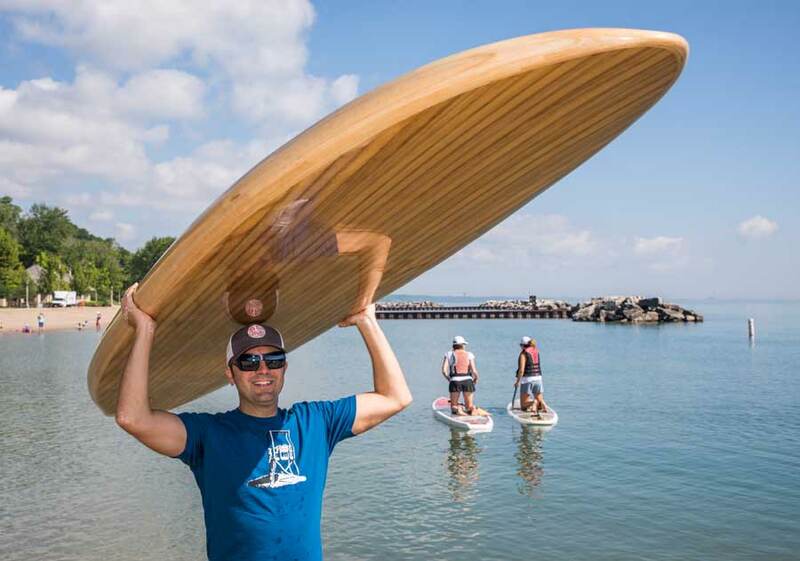 Current offerings include T-shirts, hats, and paddle boards, with future plans to expand into craft beer and branded events. 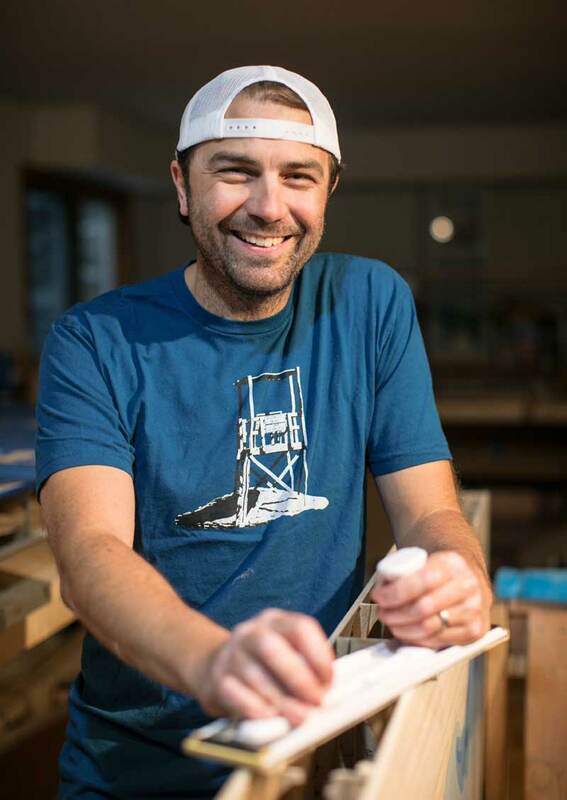 This summer, Kiddles Sports in Lake Forest is stocking limited edition John Hans Board Company T-shirts, featuring silk-screened drawings of the North Shore’s distinct beach lifeguard chairs. The T-shirts were inspired by the dozens of black and white photos Kalousek snapped on his sailing trips up and down the Great Lakes. “I started noticing that every town’s lifeguard chairs were slightly different,” said Kalousek. Kalousek also started noticing that some Midwestern-beach towns were discontinuing their lifeguarding programs to control costs, choosing instead to post “Swim at Your Own Risk” signs to waive their liability. Kiddle Sports stocks T-shirts featuring the distinct beach lifeguard chairs of Lake Forest and Lake Bluff, and Kalousek hopes to expand the collection to other North Shore communities including Highland Park, Wilmette and Evanston. And rather than sell the $25 beach lifeguard chair T-shirts through his website, they are carried exclusively through Kiddle Sports, a reflection of Kalousek’s commitment to supporting local businesses. In the meantime, Kalousek is earning praise for his handcrafted, custom-ordered wooden paddleboards inlayed with intricate carvings. A John Hans board inlayed with a wooden-carving of the Chicago skyline hangs on a wall in Kalousek’s sunroom. And in his basement workroom, Kalousek is slowly crafting a paddleboard inlayed with a detailed map of the Great Lakes. 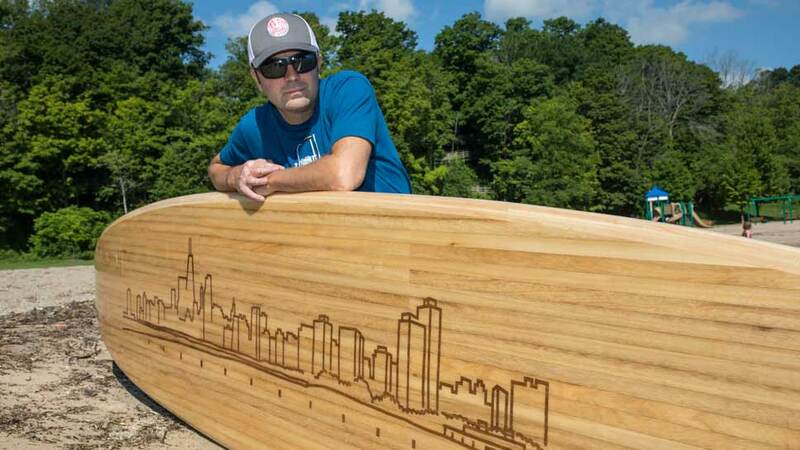 Kalousek, who spends an average of 40-60 hours carving a John Hans custom-made inlay alone, said his boards look just as good displayed underfoot as they do hanging on a wall. “When you’re on something that’s hand-built, it’s got a different feeling from something that’s been machine produced,” he said. For more information, visit jhans.com.